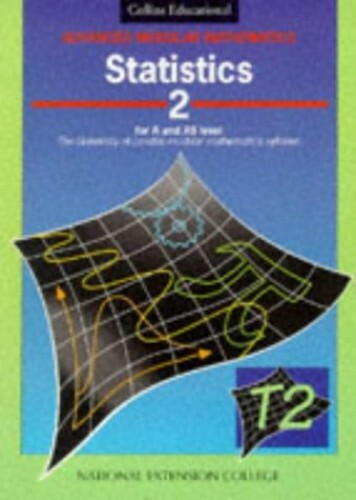 This text builds on the concepts introduced in "Statistics 1". Divided into short units, the book provides a brief introduction, with explanatory text explaining the theory to each topic. Exercises are provided at the end of each section, along with section summaries. Prepared by the National Extension College, "Advanced Modular Mathematics" is structured around the University of London (ULEAC) A and AS Level mathematics modules, but can be used by any student who is looking for extra support, especially for revision. This text builds on the concepts introduced in "Statistics 1". Divided into short units, the book provides a brief introduction to the study matter, with explanatory text explaining the background and theory to each topic, suggesting approaches for solving problems and approaching unfamiliar questions. Exercises are provided at the end of each section, with section summaries summing up what should have been covered, allowing students to check for themselves whether they are satisfied that they have completed the section.